← Quatchi’s Halloween in February! 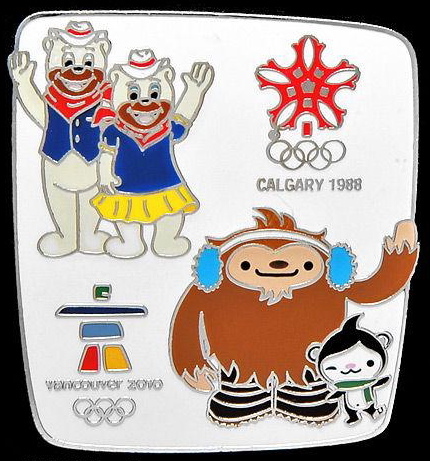 Here, Quatchi and Miga share a pin with Howdy and Hidy, mascots from Calgary’s 1988 Winter Olympics. No doubt Quatchi is the best-ever Olympics mascot — for that matter, best mascot ever — but he obviously isn’t the first. 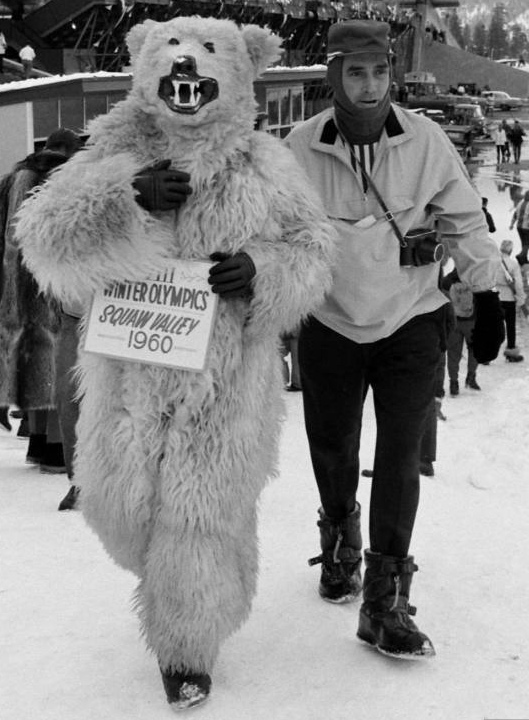 Ever since Schuss debuted for Grenoble’s 1968 winter games, mascots have represented every Olympics thereafter. While they’ve included such figures as a beaver, a platypus, a snowman and a wiener dog, frankly, none of these crap ‘scots were much more inspired than Springy, the Springfield Spring. In a 1999 episode, The Simpsons‘ hometown was chosen to host the Olympics. Homer enters a contest to come up with a mascot, something along the lines of the “Montreal Vampire.” He creates Abby, the Olympic Tabby (a papier-mâché’d cat), before unveiling the more popular Springy, the Springfield Spring. Springy is chosen as official mascot (beating out Ciggy, Patty & Selma’s cigarette mascot), but Bart’s shenanigans cost Springfield the Olympics. Homer, stuck with a thousand useless springs, vainly tries to sell them off as “Mr. 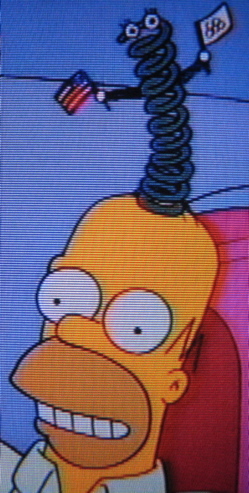 Bouncy Best Friend.” Ultimately, after a fed-up Marge insists he get rid of them, Homer flushes ’em all down the toilet. 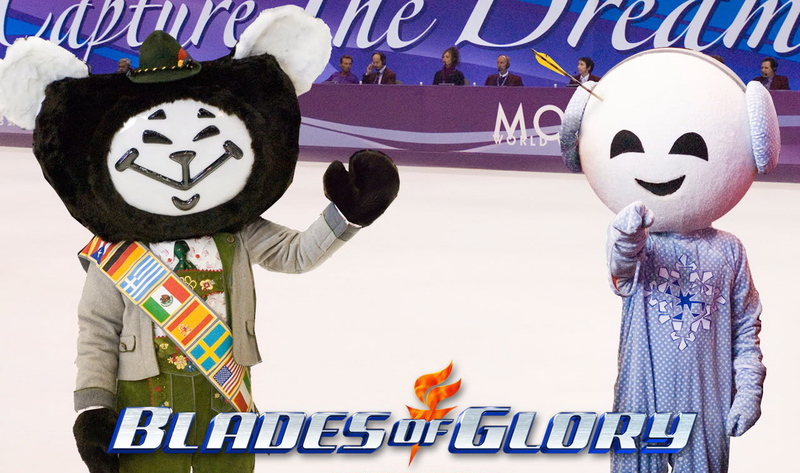 Along similar, satirical lines, Spatzel and Snowflake were the mascots for Blades of Glory‘s fictitious World Winter Sports Games. Spatzel goes up in flames, and Snowflake takes an arrow to the head. But, like Quatchi and his friends, they have their own video game. This entry was posted in Uncategorized and tagged merchandise, Miga, pins, Quatchi, update. Bookmark the permalink. Damn right the best mascot ever!! Bo-yeah!! Shuss is cool. Only Quatchi is cooler than Shuss. Wow, the Beijing Olympics link still work. VANOC would better leave the website on eternally. I called them and they said they would close it on Dec. 31st. John Furlong, please leave the website on for ever. Or make sure that every single video and photo can still be seen in the future. For the legacy. Awesome photo from the ’60 Olympics! Steve: what’s the source of this image?